Thanks to a recent remarkable discovery in the BBC’s Film Vaults, the best of David Attenborough’s early Zoo Quest adventures can now be seen as never before – in colour – and with it the remarkable story of how this pioneering television series was made. 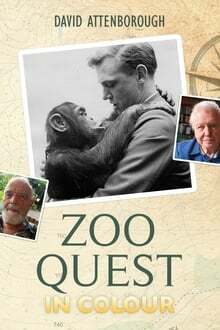 First broadcast in December 1954, Zoo Quest was one of the most popular television series of its time and launched the career of the young David Attenborough as a wildlife presenter. Zoo Quest completely changed how viewers saw the world – revealing wildlife and tribal communities that had never been filmed or even seen before.